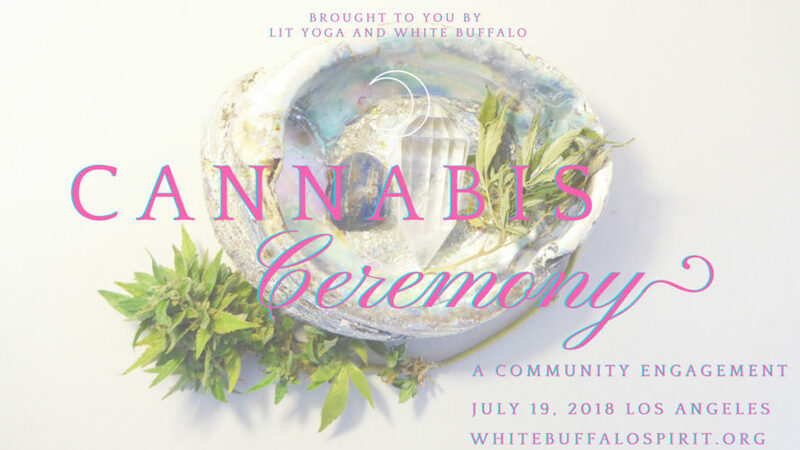 Join Lit Yoga and White Buffalo as We Explore Cannabis Ceremony. We’ll engage with Santa Maria, the spirit of the cannabis plant and our community members for guided meditation, movement, and intention setting. Together, we’ll activate a crystal grid for heart chakra opening to bring in more love to our lives and to our ceremonial space. We’re hosting this event at the first lunar phase, a time to create. We’ll take time and space to visualize what we wish to create as a collective. We’ll provide delicious tea to wet your whistle and deepen your ohm. Ceremonial garb is suggested to attune your vibration. Let the festivities begin! Your Hosts: Hannah Mason and Courtney Aura Freeman. Location: Los Angeles, TBA.Cost: $20 Advance, $25 at the Door. Please arrive promptly at 6:30 to meet your community members and settle in. This is a CrystalsandCannabis.org sponsored event.